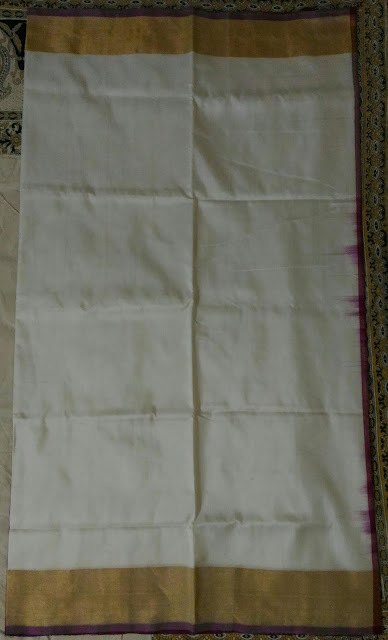 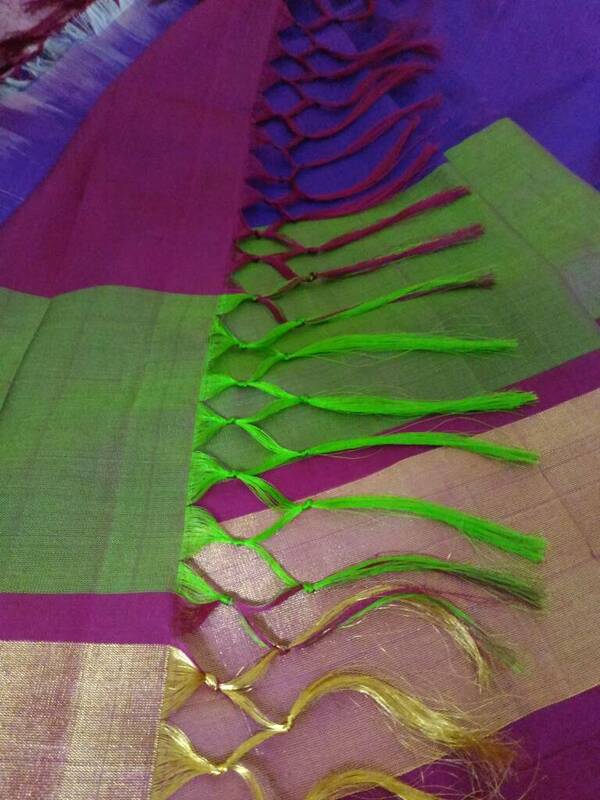 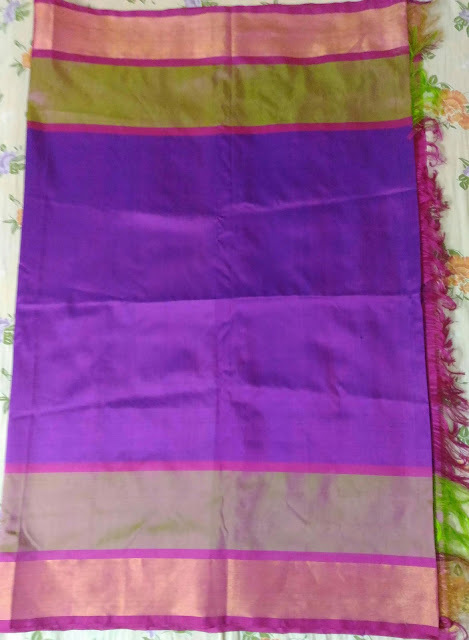 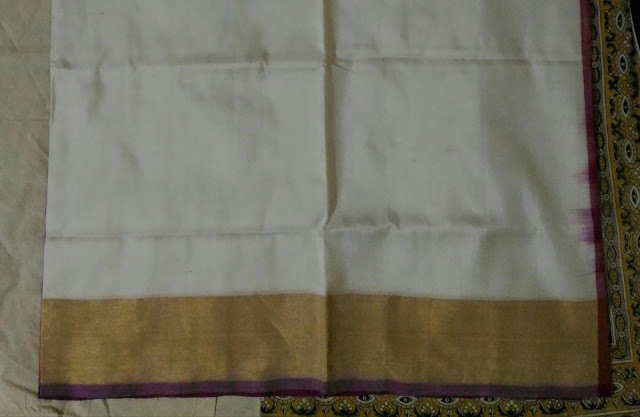 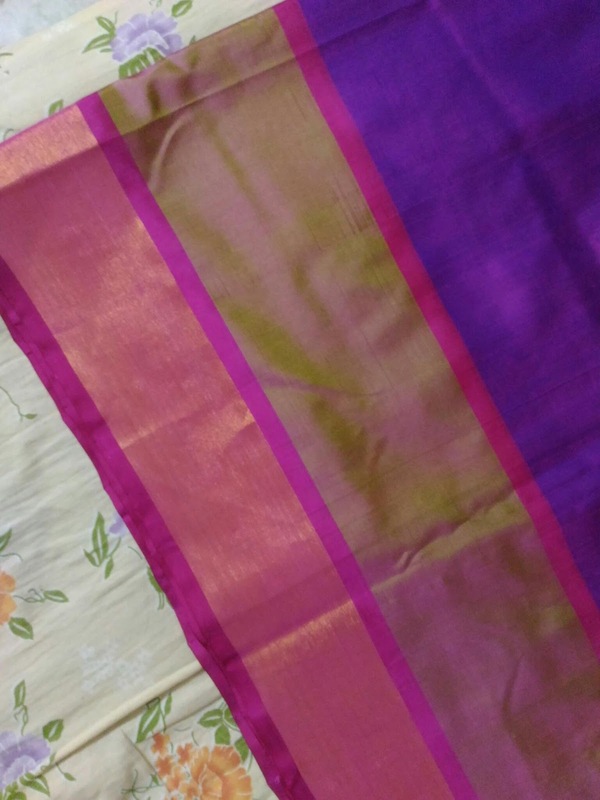 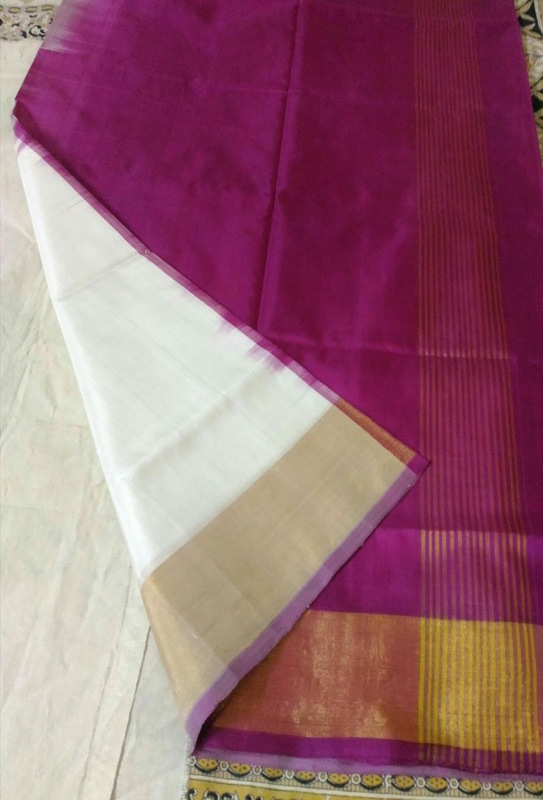 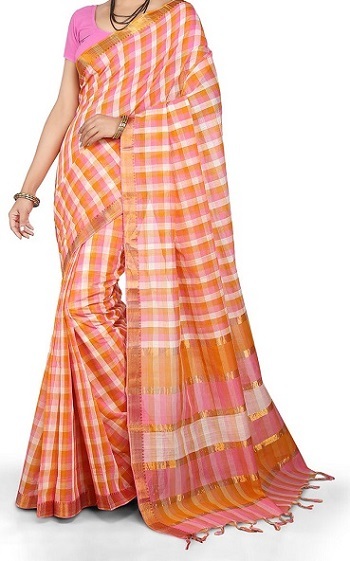 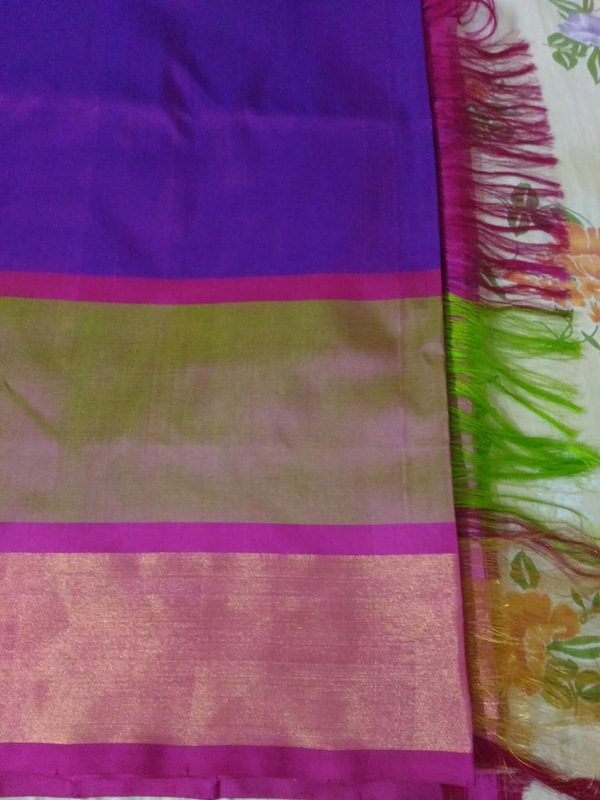 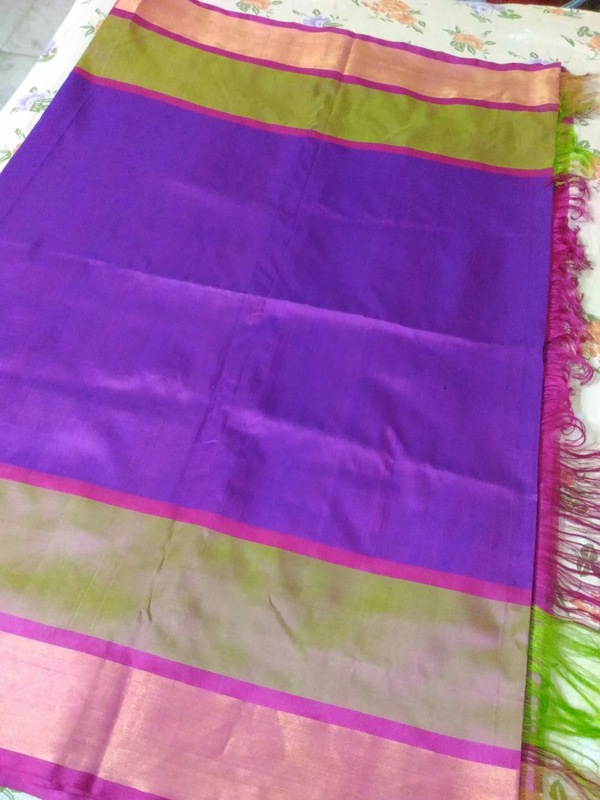 Saree is getting ready from loom, got a good response for this new design. 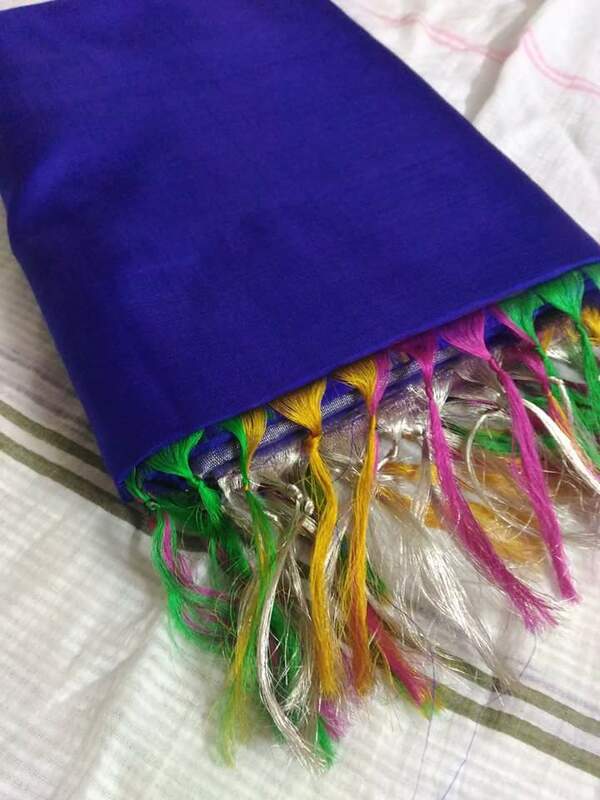 Royal blue big silver border saree is looks wonderful. 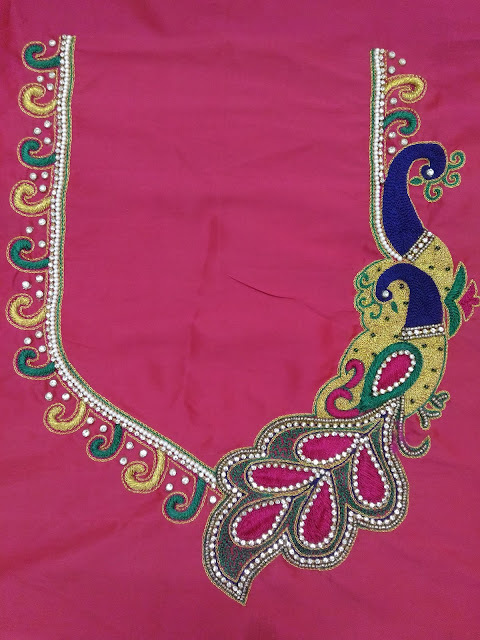 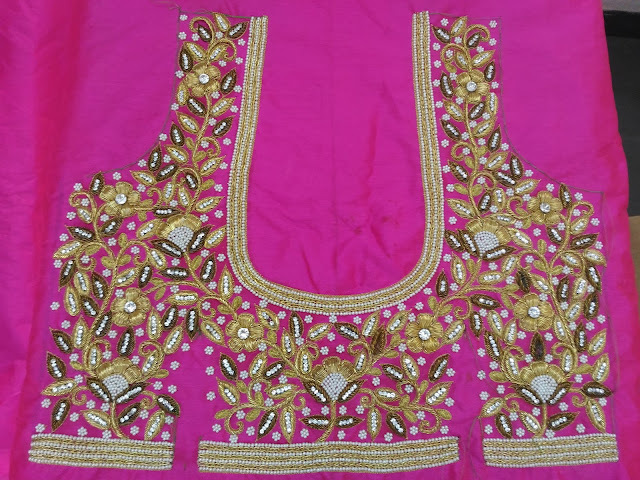 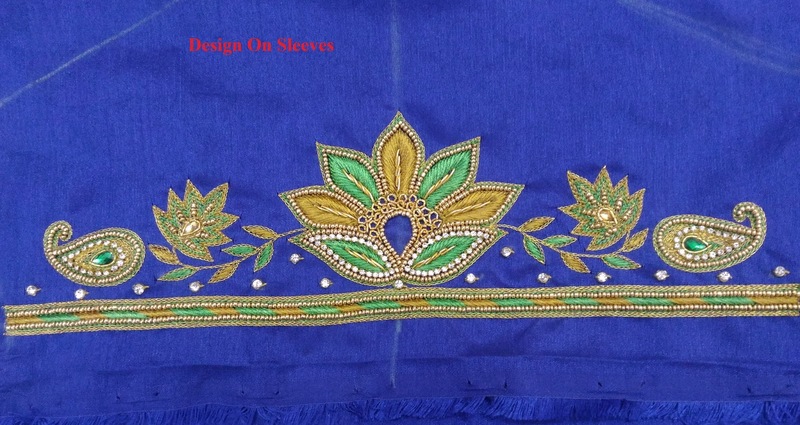 This is Beautiful designer blouse with Maggam work that creates a different look. 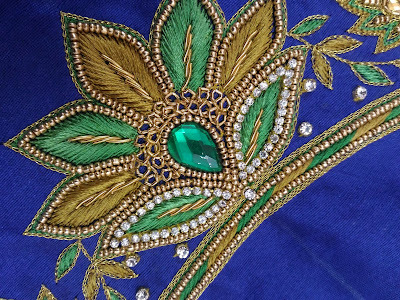 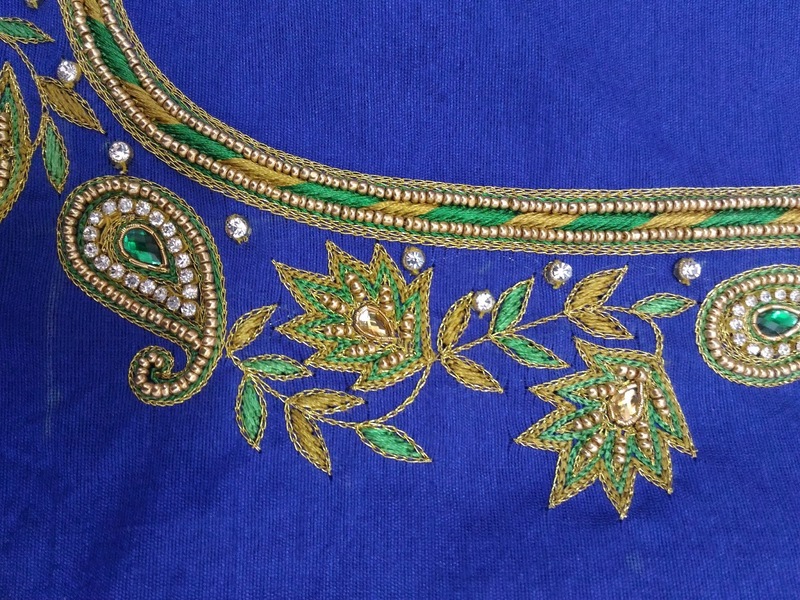 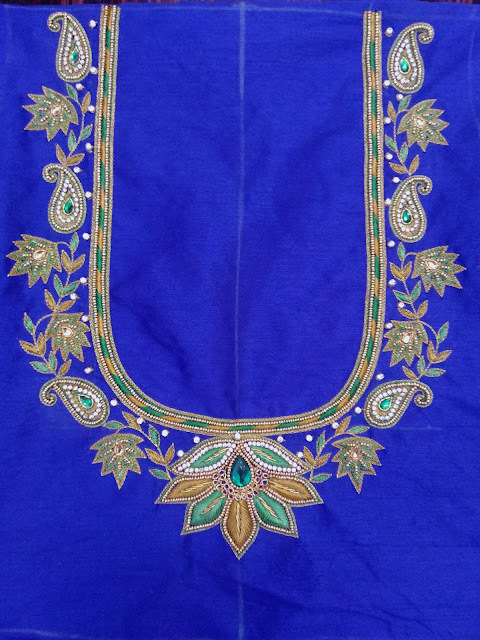 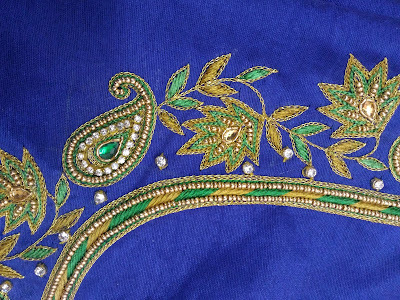 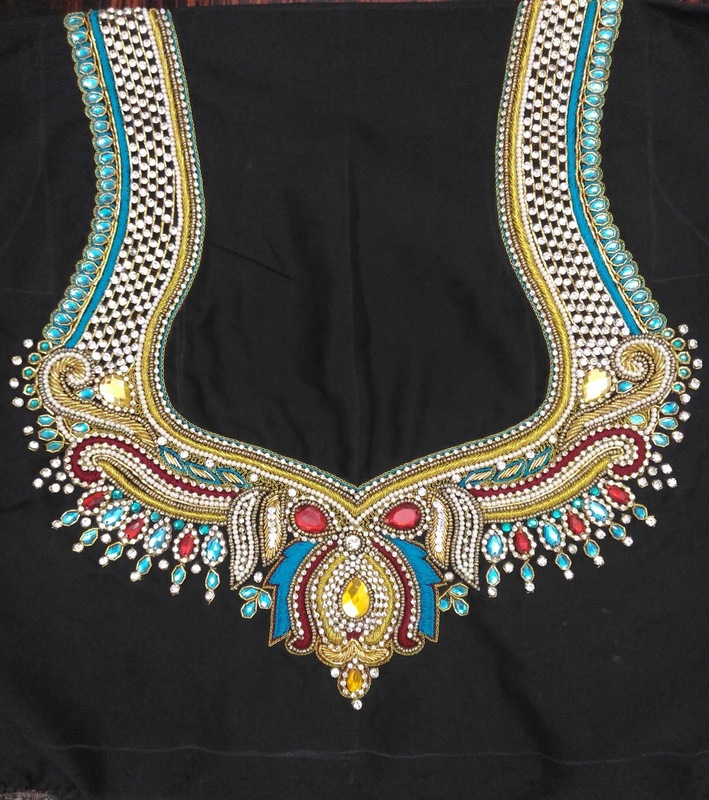 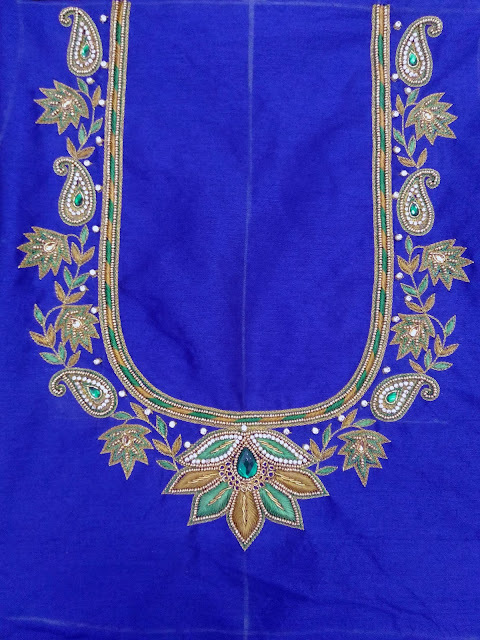 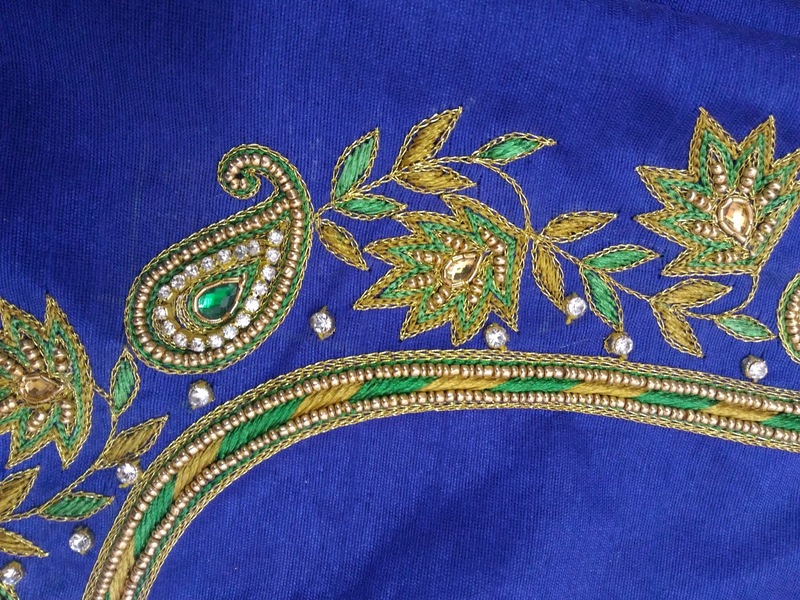 The Blue color Raw Silk blouse having an maggam work over the back portion of the blouse with white stones , Gold color beads used along with golden color, Mustered thread, Green Thread work added an extra attraction. 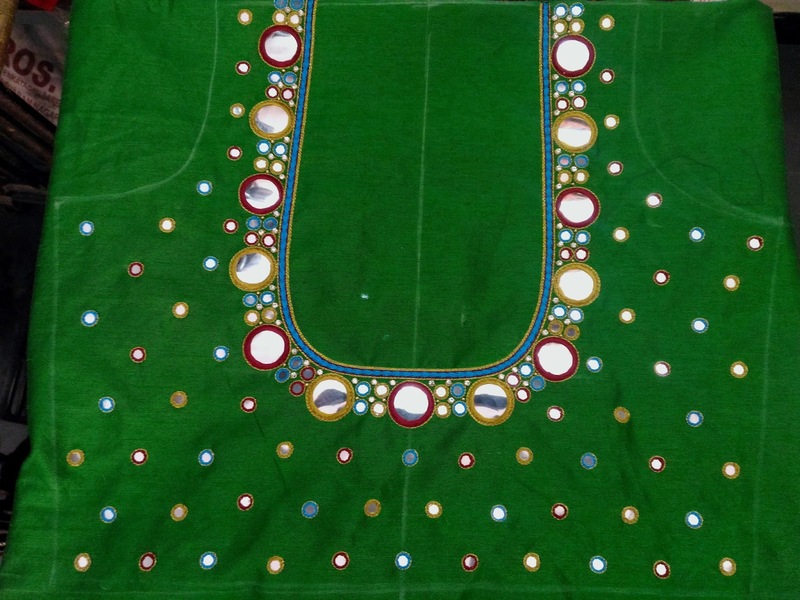 The design of maggam work is really exclusive. 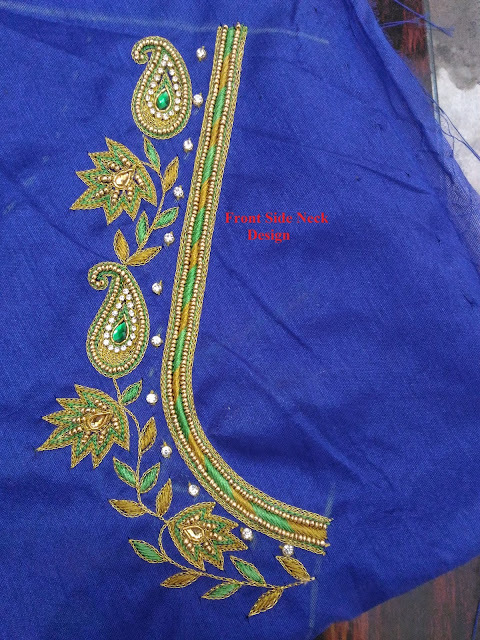 We are added same design in one side of the front neck and Hands.